Steve Jobs says that dropping out of college was one of the best decisions he ever made. Why? Because after quitting school he was able to sit in on courses that actually helped him learn. He’d walk into whatever class he wanted and just blend in with the crowd. Jobs isn’t the only one to ghost college classes. 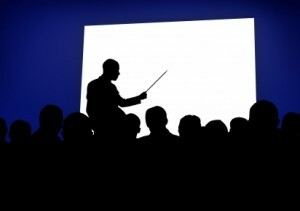 Many independent learners have haunted lecture halls for a bit of free learning. Some have snuck into so many courses that, were they actual students, they would have been awarded a degree. Others have been given letters of recommendation from professors teaching at schools they never officially attended. If you live near a university, sitting in on college classes can help you explore new subjects and improve your skills without paying a dime. Books are an invaluable resource for independent learners, but sometimes people need face-to-face assistance. Professors can help point you in the right direction and course discussions can help you get a better grasp of whatever you choose to study. I graduated college at 19, speeding through my studies by not taking classes outside of the requirements. (That’s right, I didn’t take a single class just for the enjoyment of it.) Sure, I graduated quickly. But, I also missed out on some incredible opportunities to explore different subjects and develop a more in-depth understanding of my field. Many college grads now look back and wish that they would have taken a few extra courses of their own choosing. Sitting in on college classes is a way to go back for a second helping now that you have a more mature understanding of your tastes. One of the best aspects of sitting in on college classes is that ghosters are there purely for the learning. You don’t have to worry about grades and exams. You don’t have to avoid hard subjects because they’ll hurt your GPA or sit in on fluff classes to give it a boost. If the class gets boring, you can leave. If a class is interesting, sit in on it a second time. You are completely in control of your learning. It depends. There are several ways to sit in on a college class: blending in, asking the professor, and auditing. Auditing is the 100% official way to sit in. But, you may end up paying full tuition and the course audit will be listed on a transcript. In some schools, teachers are more than happy to have ghosters sit in on their courses as long as there’s enough room for the registered students. However, teachers may tell you to register for an audit if that is the official school policy. A few schools do have an open visiting policy for lectures in large halls. You’ll probably want to look into existing rules to see what your options are in that regard. Some ghosters use a “don’t ask, don’t tell” strategy. They show up without announcing their presence and assuming that the professor won’t mind an additional eager learner. If they’re asked, they’ll explain the situation and leave if necessary. Blending in is the least official and most hassle-free way to sit in on a class. Choose a class you want to attend and simply start showing up. This strategy works best for larger courses with 50 students or more. Smaller classes won’t work because small-course teachers often refer to the roll and everyone tends to know each other by name. You can usually find the available courses and the number of filled seats on the college’s website. The easiest courses to blend in to are taught in large lecture halls. You’ll want to skip the first day or two (when the teacher is taking the roll / asking for names) and start showing up during the second week. Skip non-lecture days that include graded assignments such as exams and in-class essays. Avoid overfilled courses or those taught by celebrity teachers. If the teacher does ask who you are, the best bet is to tell the truth. Say that you heard the class was interesting and wanted to check it out. You probably won’t be asked to leave. But, if you are, do so. Another option is to ask a teacher outright. This is most likely to work if you’re a student at the school. But, either way, the majority of teachers are open to having engaged students fill their seats. Reasons you may get turned down: the course is already full, the class relies on labs and materials not available to a non-paying student, or the school has a policy requiring long-term visitors to officially audit courses. When asking the professor to sit in, simply show up the first day. If there seems to be room in the course, approach the teacher afterwards and briefly explain your situation. It doesn’t hurt to compliment the class and let the teacher know why you’re excited to learn the subject. Auditing is the official way to sit in on a college class. Each school has their own auditing policy. However, in most cases, you will need to register ahead of time and pay a fee. It is not uncommon for the auditing fee to be the same as regular tuition. You will not be given a final grade for auditing a course. However, you may be allowed to take exams and turn in assignments to receive personal feedback. Your course audit will be listed on a transcript created by the school. Sitting in on a class can be an easy, cost-effective way to improve your education. If you’re not paying to attend, don’t detract from the time and attention regular students need. Don’t dominate the conversation or ask too much of the teacher. When you finish a course, a hearty thanks to the professor would certainly be appreciated. Ultimately, universities should be about learning. In this spirit, many professors are willing to give an extra seat or two to people who are genuinely interested in what they have to share. 8 Comments on "How to Ghost College Classes"
Other options include finding mentors, and joining groups and associations that are involved in your interests. Contribute as you learn. You can already do this for many lecture courses via the web. Really intresting and well written article. How do you handle parking on campus (getting a parking pass, etc.) when you’re not a registered student? This seems like a great way to expand one’s horizons. Too bad it’s not available to any of the Colleges/Universities near my place. Here, you normally should have an ID before you can enter classes, let alone the campus. You can park in visitors parking sometimes or walk/ride a bike to campus. Among other interesting materials, the Critical Reasoning for Beginners held by Marianne Talbot on Oxford University (a video-course with slides) is also highly helpful and well taught.